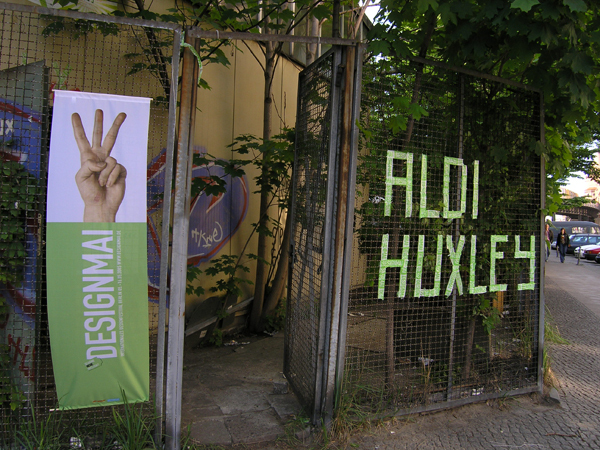 In May 2005 I was invited to participate to an exhibition called Aldi Huxley at Design MAI, Berlin. 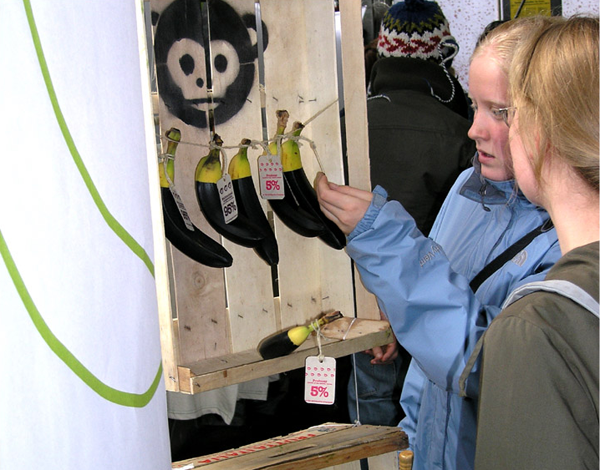 The task was to design a product to be sold in the exhibiton space. I bought a few kilos of bananas which I painted black. 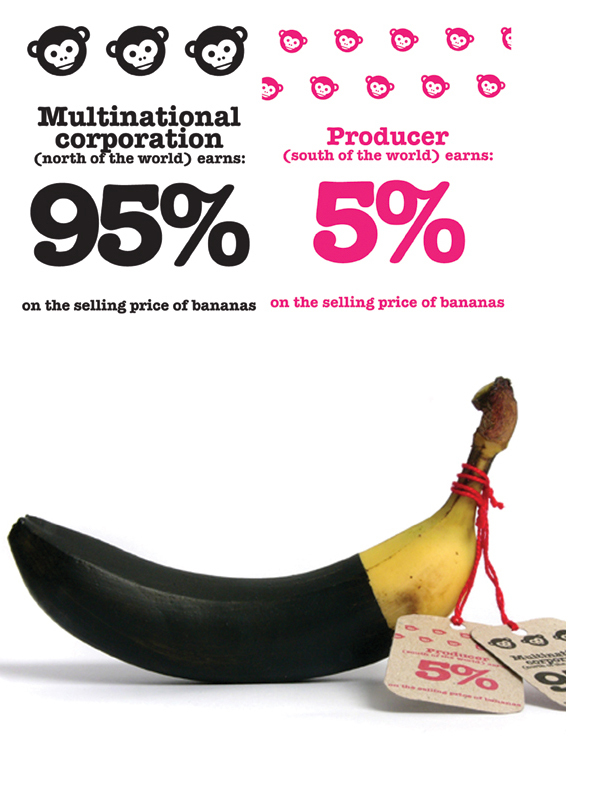 Each banana was for sale for 2 Euro with a label explaining: “The multinational corporation earns 95% on the selling price of the banana. The producer only the 5%”. 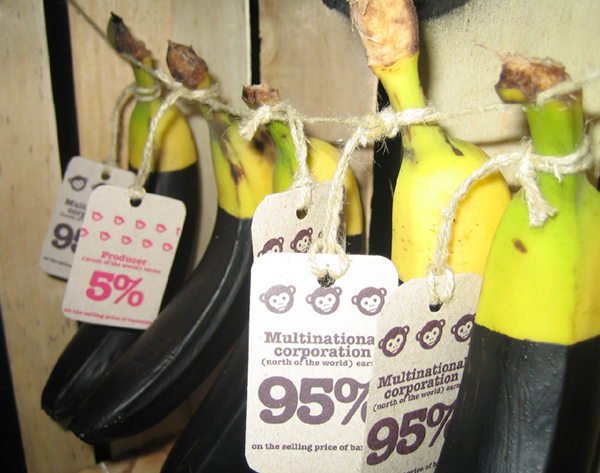 Nobody bought the bananas in the exhibition, but the visitors were very interested in reading the message. The title “The Dark Side of Bananas” was inspired by my period of study at the Bauhaus University. 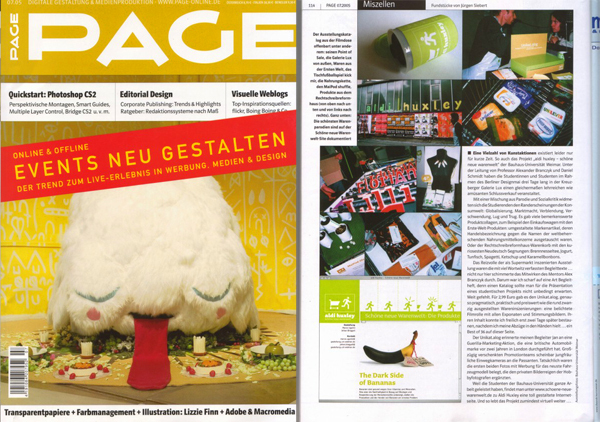 The Dark Side of Bananas was published on the german magazine PAGE, in June 2005.